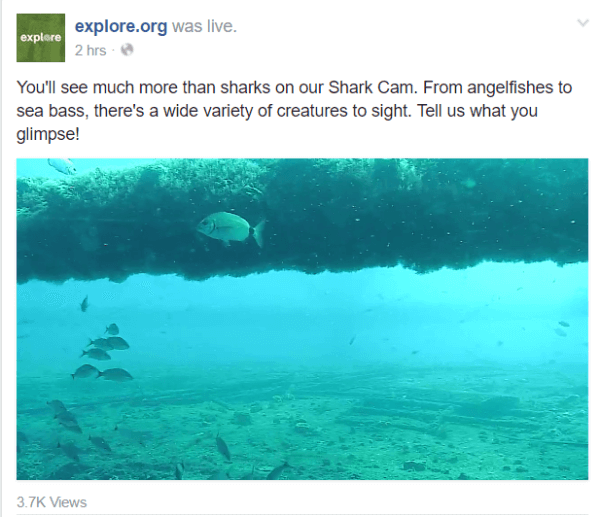 Explore.org uses Facebook’s Continuous Live Video API to power its nature cams. Twitter Adjusts 140-character Limit: “In the coming months, [Twitter will] make changes to simplify Tweets including what counts toward your 140 characters, so for instance, @names in replies and media attachments (like photos, GIFs, videos, and polls) will no longer ‘use up’ valuable characters.” This update will be available over the coming months. In this blab from Friday, May 27, 2016, Michael Stelzner and guests discuss the top news in social media. 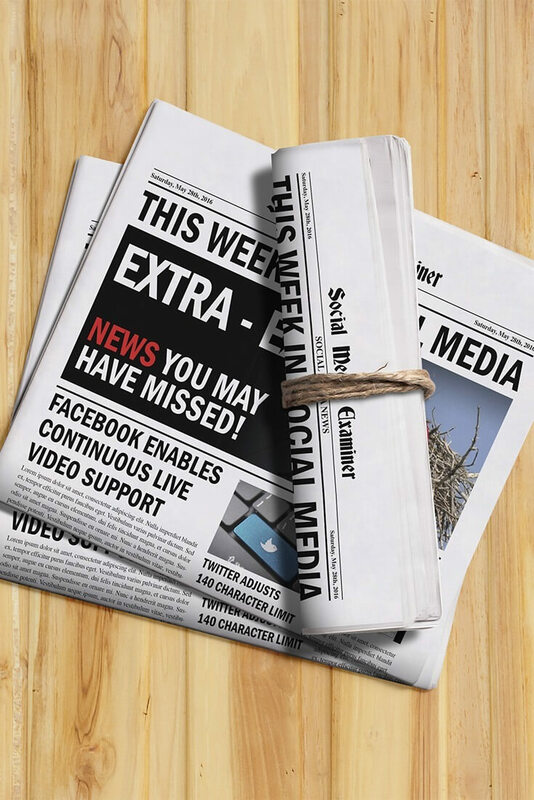 Topics include Twitter expanding its 140-character limit (1:38), updates to Facebook Live (17:32), and LinkedIn’s new advertising tools (32:28). Subscribe to future shows here. Instagram Shuts Down Feed API: Instagram is shutting down its feed API on June 1 as part of a bigger shift “to create more services on its own app as it strengthens its platform as a business, and also looks to create an audience of its own that is not just passing through or using its photos elsewhere.” TechCrunch reports that “feed API usage is relatively small,” but there are some notable services being affected by this update, including Flipboard, IFTTT, and Being. Snapchat Adds Non-Emoji Stickers to Snaps: “Snapchat now lets you attach stickers to your photos and videos.” In addition to Unicode emojis, Snapchat stickers include illustrated images, which can be used to customize snaps with a click on the “Post-It-looking button on the top right” of the screen. Twitter Audio Cards Now Support Spotify: Twitter announced that “tweets with @Spotify tracks now play in your timeline.” Twitter Audio Cards for Spotify let users discover and listen to 30-second music previews within Twitter. Spotify tracks can also be featured within Twitter Moments. Facebook Acquires Immersive Audio Company and Makes Technology Available to All Users: In a company announcement, Two Big Ears revealed that it has been purchased by Facebook and its “pipeline for cinematic VR and 360 video including the authoring tools, encoder and rendering engine” will be available to developers as part of the new Facebook 360 Spatial Workstation, which is free to download from the Facebook 360 site. 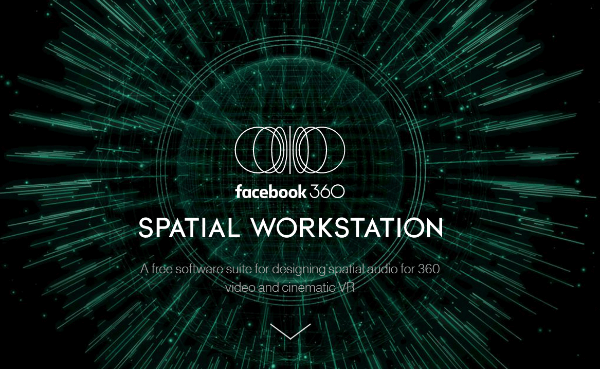 Two Big Ears’ pipeline for cinematic VR and 360 video, including the authoring tools, encoder, and rendering engine are available for free via the new Facebook 360 Spatial Workstation. 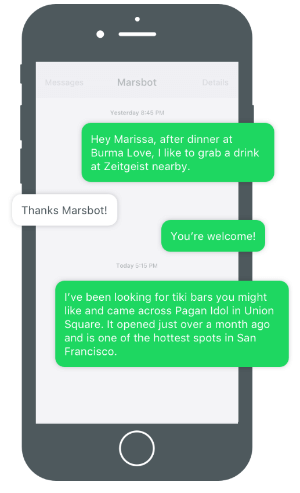 Foursquare Unveils Marsbot: Foursquare introduced Marsbot, a new product that “tells you where to eat or drink before you think to ask for it” and delivers “contextually aware, proactive recommendations for awesome food and nightlife spots via the simplest communications channel possible: text.” Foursquare is testing Marsbot with a limited number of iPhone users in New York and San Francisco. News Use Across Social Media Platforms 2016: According to a new study from the Pew Research Center, a majority (62%) of U.S. adults get their news from social media and 18% claim to do so often. This is an increase from 2012 when only 49% of U.S. adults reported getting their news from social media. This study was based on a survey conducted in early 2016 with 4,654 members of Pew Research Center’s American Trends Panel and explores which social media sites are the largest new sources, how many users access multiple sites to gather news, and how often users access these networks to intentionally gather news versus merely “happening upon it” while scrolling for other things. For example, two-thirds (66%) of those surveyed go to Facebook to get news, while 70% turn to Reddit and 59% access Twitter. However, Facebook boasts the highest reach (67%) and is most commonly the only news source accessed (64%) compared to all of the sites measured. Research Shows Micro-Influencers Have More Impact Than Average Consumers: Experticity released a nationwide influencer marketing study in collaboration with Keller Fay Group and the Wharton School of the University of Pennsylvania. The researchers surveyed both “micro-influencers” and average consumers in the U.S. on the impact of word-of-mouth recommendations on purchasing decisions. According to the findings, more people are willing to follow an influencer’s recommendation (82%) than an average customer’s recommendation (73%). The study also discovered that influencers give more frequent and direct product recommendations than the average customer. 2Q 2016 Sprout Social Index: Sprout Social surveyed over a thousand Facebook, Twitter, and Instagram users on their expectations when reaching out to brands on social media and compared these findings with data from thousands of brand profiles across 15 industries. The study suggests that most businesses continue to use social media purely as a promotional outlet instead of a two-way communication tool with their customers. The report reveals that brands send 23 promotional messages for every 1 consumer response and 89% of social media messages from customers are ignored, an increase of 18% over the past year. Meanwhile, 90% of people surveyed have used social media to communicate directly with a brand and typically wait for an average of 10 hours for a response, if they receive any at all. The Gig Economy Is Seeing Double: Recent research from LinkedIn ProFinder offers a list of the “most in demand” freelance professions and the top “freelance hot spots” in the U.S. The report also shares that the number of freelancers using LinkedIn to make connections has grown by 43% over the past 5 years and marketing is the number-one skill in demand on the new service. 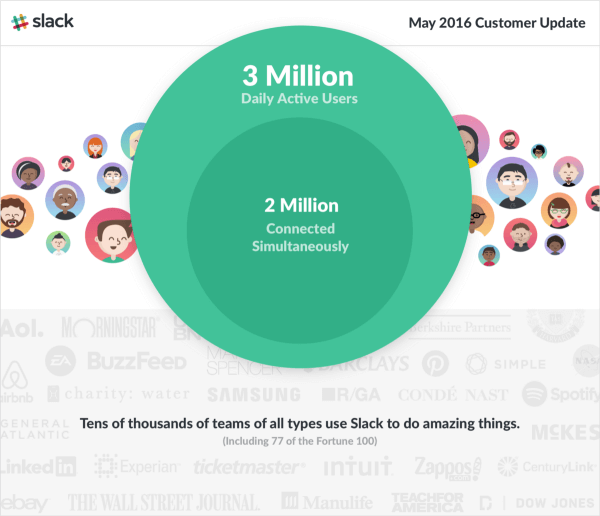 Social Media Benchmarking Study 2015: Quintly published a social benchmark study based on data compiled throughout 2015. Analyzing over 180,000 profiles on Facebook, Instagram, and Twitter, this study explores profile growth and saturation, the frequency of posts and typical interaction rates on each platform, and provides insights for marketers looking to ramp up or expand their social media efforts. What do you think of Facebook’s Live Geogating? How will Twitter’s new character count affect you? Please share your comments below. 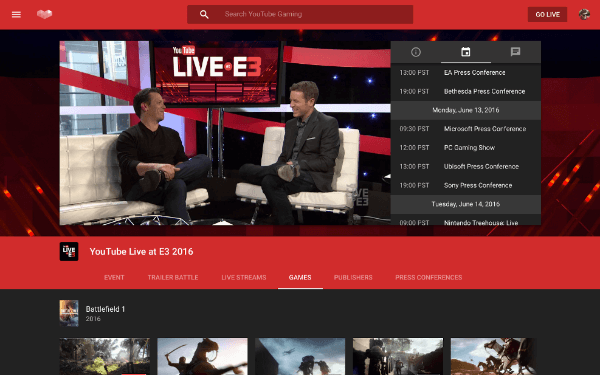 Facebook Live Rolls Out Continuous Streaming and other social media news for May 28, 2016.